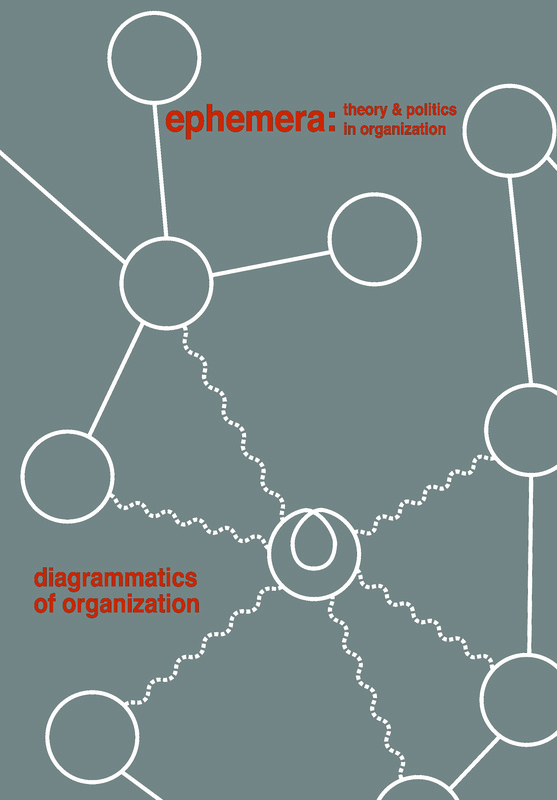 This open issue brings together a series of papers that engage with the diagrammatics of organization. This involves an examination of how particular subjects are produced within networks of power relations: the entrepreneur within enterprise culture, the compulsive buyer within consumer society, the spectator within the world of art, the cognitive labourer within the knowledge economy, and the good citizen within advanced liberalism. If diagrammatics are to be understood as cartographies of strategies of power, then each of the contributions in this issue attempt to map the field of forces in particular domains – economics, consumption, aesthetics, labour and government – with the intention of tracing how these diagrams shape specific subject positions within contemporary capitalist society. This issue thus contains various iterations of, and possible lines of flight from, the diagrammatics of organization.